There is ignorant, and then there is damn ignorant. Those folks in the video below would be the latter. The individuals interviewed actually agreed that it would be okay for Barack Obama to repeal the Bill of Rights as a response to dealing with ISIS and the radical terror threat. Are you serious? Some thought because Republicans and Democrats agreed to do this, it was a good thing as they finally agreed on something. Just how uninformed and stupid have some become in America? I guess the next question that should have been asked was if any of the respondents knew what the Bill of Rights was, or if they could name any of them? Beachgoers in San Diego blithely agreed that President Barack Obama should be given the power to completely repeal the Bill of Rights in the name of fighting ISIS in another disturbing insight into the unthinking malaise of many Americans. Told by media analyst and author Mark Dice that Obama had announced he was to repeal the Bill of Rights in order to “help make sure that we can keep everybody safe here in the homeland,” almost all the respondents agreed that eliminating constitutional rights was perfectly reasonable. Asked, “Is that the right decision – should we get behind Obama to make sure the ISIS threat doesn’t rear its head here in America?,” one man responded, “Yeah I would agree with that,” before adding, “Only time will tell whether it’s the right or wrong decision,” agreeing with Dice that Obama’s political advisors “know what’s best”. Sen. Ted Cruz (R-TX) Speaks at the Iowa Freedom Summit … “Reigniting the Miracle of America” … We Need to Bring Together a Coalition of Americans Who Want to Believe Again in the “Miracle of America”. “Number one, we champion jobs and economic growth and opportunity. We bring back an environment where small businesses are growing, are creating opportunity and we get the senseless obstacles from Washington out of the way. That means tax reform, regulatory reform, it means sending the ‘locust’ of the EPA back to Washington. [...] And the most important regulatory reform we can do is repeal every word of Obamacare. We need tax reform and the most important tax reform we can do is to abolish the IRS. We need a simple flat tax that is fair that every Americans can fill his or hers taxes on a post card. There are 110,000 employees at the IRS. We need to padlock that building and put everyone of those 110,00 on our Southern border. I say that somewhat tongue-in-cheek, think about that for a second imagine you travel 1000′s of miles through Central America, through the heat, you’re swimming across the Rio Grande and the first thing you see is ten thousand IRS agents, you would turn around and go home too. The second key to reigniting the Miracle of America is we need to defend our Constitutional rights. Every single one of them, the 1st Amendment, the 2nd Amendment, the 4th, the 5th, the 10th Amendment. You know no liberty has been more under assault in recent years than religious liberty. Whether it is the Federal government going after Hobby Lobby, a Christian company, or going after the Little Sisters of the Poor. By the way, here is a real good rule of thumb, if you are litigating against nuns, as the Obama administration is, you probably have done something wrong. I am sorry to say one of the most graphic examples of the threat of religious liberty occurred in my home town of Houston. Where the city of Houston subpoenaed five pastors and demanded of those pastors that they hand over their sermons and hand over your sermon notes. [...] The heat and pressure was so great that the city folded under it and withdrew the subpoena. One of the most important roles of Americans and the people of Iowa will be to look each candidate in the eye and say, “don’t talk, show me”. Ted Crud went on to say, “if you say you support liberty, show me where you stood up and fought for it. If you say you support religious liberty, show me where you stood up and fought for it. If you say you oppose Obamacare show me where you stood up and fought against it. If you say you oppose the president’s Unconstitutional executive amnesty, show me where you stood up and fought. If you say you support life and marriage show me where you stood up and fought. If you say you’ll stand up to the Washington establishment, the career politicians of both parties, that have gotten us into this mess, show me where you have stood up and fought. If you say you oppose common core, show me where you have stood up and fought. And if you say you stand with our friend and ally the nation of Israel show me where you stood up and fought. Together, we need to reassemble the Reagan coalition. We need to unify, we need to bring together conservative and evangelicals and libertarians and Republican women and Reagan Democrats and young people. We need to bring together a coalition of Americans who want to believe again in the “Miracle of America”. Sen. Ted Cruz spoke of reigniting the “Miracle of America”. This country was built on an extraordinary miracle. The miracle of American began with a revolutionary idea, Our rights do not come from government, they come from God Almighty. This country was built on incredible opportunity … There has been no country in the history of the world that has allowed so many millions with nothing to come and seek the unlimited dreams of their potential. The miracle of American as been American exceptionalism. We are the clarion voice for freedom and we will back down to no face of tyranny. What a joke. Top IRS official Lois Lerner says to the House Oversight and Government Reform Committee in a prepared statement, “I have not done anything wrong. I have not broken any laws. I have not violated any IRS rules or regulations.” Then like any innocent person who has done nothing wrong, pleads the 5th on the grounds of what she would say might incriminate her. You just can’t make this stuff up. Lois Lerner is the woman who was in charge of the division that targeted conservative and tea party groups withholding their freedom of speech and then invoking her 5th Amendment rights. UNREAL. It is obvious that there will need to be a “Special” prosecutor appointed to investigate this scandal. If IRS officials are just going to make a joke of the hearings, lie, obfuscate, and plead the 5th. Hmm, if she has done nothing wrong, why did she apologize weeks ago for the IRA targeting conservative groups? Her apology and admission that the IRS targeted conservative non-profits started all of this and forced the MSM into following the story. California-based Tea Party group, the NorCal Tea Party Patriots, become the first to sue the IRS accusing the IRS of violating its constitutional rights due to the “intensive and intrusive scrutiny” it received while seeking tax-exempt status. Let the pigeons loose. Hopefully, this will be just the beginning of the law suits against the IRS that have admitted to targeting conservative and Tea Party groups. As reported at the Politico, the group alleges it applied for tax-exempt status in March 2010 but didn’t receive approval until Aug. 2 of last year. The lawsuit accuses the IRS of violating the First and Fifth amendments and seeks monetary damages. A California-based Tea Party group sued the U.S. Internal Revenue Service on Monday in what marked the first lawsuit to stem from an investigation finding the agency singled-out conservative organizations. In a lawsuit filed in U.S. District Court in Cincinnati, the NorCal Tea Party Patriots accused the IRS of violating its constitutional rights due to the “intensive and intrusive scrutiny” it received while seeking tax-exempt status. The lawsuit sought class action status on behalf of all conservative and libertarian groups – such as those associated with the Tea Party movement – that were targeted by the IRS for extra scrutiny from March 2010 through the middle of this month. Tea Party groups call for reduced federal spending and taxation. We are sure you were as disgusted as we were upon hearing the news of the top down abuse of power the IRS has aimed at Conservative groups. Today, we are on the precipice of something monumental to correct the balance of power. We are taking the fight directly to the IRS. Like many of you, we know folks who have been subjected to harassment and abuse by the IRS as they tried to obtain their non-profit status. 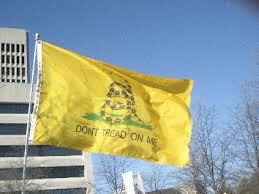 I have first-hand knowledge because the first tea party group that I was involved with was unfairly targeted. We are not sitting back and waiting for Congress to fix things. Citizens for Self-Governance (CSG) decided to take matters into our own hands. We found the best lawyers in the country for aggressive litigation versus the federal government and, with our assistance, the NorCal Tea Party filed a class action suit against the IRS Monday in Ohio Federal Court. Many other small grassroots organizations dedicated to liberty have been damaged or intimidated to the point of giving up, so CSG will provide the guidance and support needed to vindicate their rights in a direct legal battle with the IRS.